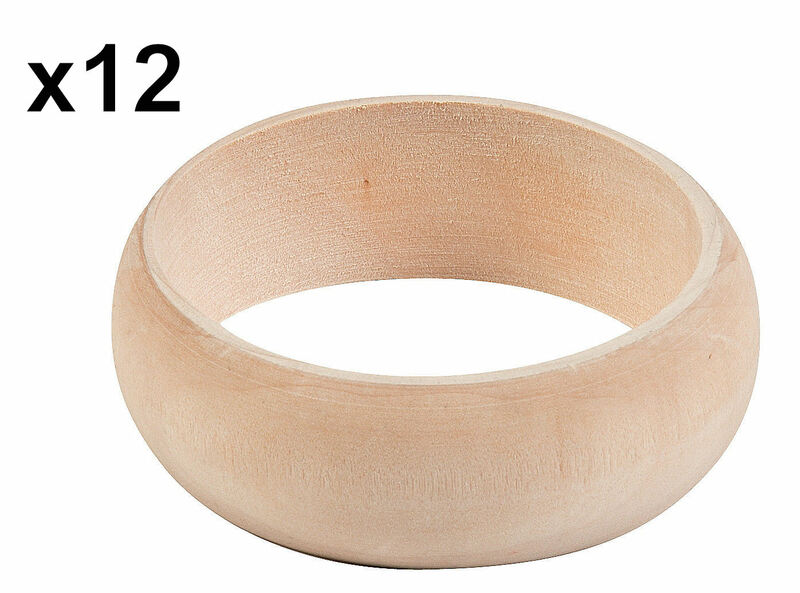 One dozen wooden bangle bracelets are must-have additions to your crafting supplies. Create unique handmade jewelry when you use your own paint and embellishments to decorate them. A perfect DIY craft, spend a relaxing evening at home making one-of-a-kind accessories for friends and family. Create thoughtful, easy Christmas stocking stuffers and birthday gifts - they're fun to make and fun to give. You can also make custom accessories to match your favorite outfits! 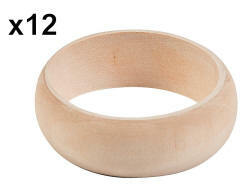 The inside of each bracelet measures about 8 inches in circumference.